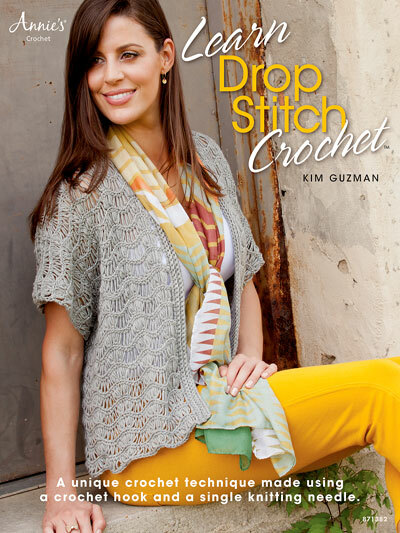 Explore this fascinating crochet drop-stitch technique! All projects are made using a crochet hook and a knitting needle, allowing you to maintain consistency of the drop-stitch height. After crocheting your loops, you will place them on your knitting needle and then work them off. Includes a great beginner step-by-step tutorial with color photographs to get you started. Plus 8 gorgeous projects, including a scarf, shawl, cardigan and more!